A Statement on Operation Olive Branch by our Rojava Solidarity Cluster. As we write this text Afrin canton in Rojava has been under almost a week of attack by Turkish troops and proxy “Free Syrian Army (FSA)” forces. The Turkish state has initiated “Operation Olive Branch” to build a 19 mile buffer zone in Afrin canton and ‘clear the region of terrorists’. Despite the massive imbalances between the Syrian Democratic Forces (SDF) and the Turkish state, the second largest army in NATO, Turkish gains have been small. Despite attacking from all directions, from within the Turkish border, with their forces from the “Euphrates Shield” operation near al-Bab, and from positions south of Afrin in Idlib province, and their air dominance Turkish military gains are limited and they have suffered many casualties, and many German produced Leopard tanks have been destroyed. Turkey has also directly targeted civilians in Afrin canton and elsewhere in Rojava. This campaign has been long predicted. ISIS’s presence in the north-east of the country is collapsing now Raqqa has been liberated. The usefulness of the SDF has diminished and thus the willingness of America and Russia to stand up to Turkish aggression has receded. A new regime offensive has begun against FSA and rebel forces in Idlib province, bringing them closer to Turkish backed forces. Turkey’s operation is hoping to link it’s proxy forces together and improve it’s negotiating position in the lead-up to the next round of Syrian negotiations in Sochi on the 29-30 January, negotiations the Rojava administration were originally invited to but have withdrawn from since the beginning of “Olive Branch”. The conflict in wider Syria has been a proxy conflict for rival imperialist powers for years and yet again, the shameful responses of the international community reveal their real intentions and allegiances. The weak response of the USA also once again demonstrates the continuing decline of American hegemony. A leading NATO official, anxious to not see Turkey further move into Russia’s orbit, declared at a public engagement on the 23rd that “NATO stands in solidarity with Turkey in the fight against terrorism”. America and Britain have released fairly toothless statements (apart from Boris Johnson’s support of the Turkish campaign). Anxious to retain trade deals and to ensure Turkey does not rescind its role as the front line of Fortress Europe by allowing large numbers of migrants to attempt the crossing to Greece, European states are making feeble criticisms at best. In recent months we saw Liam Fox, the minister for International trade, in Ankara, and Labour MP for Barrow and Furness John Woodcock is also a notable shill for Erdogan’s agenda in the UK. The U.K is also a huge exporter of the weapons being used in this campaign by the Turkish military. But it is Russia, the imperialist power within whose sphere of influence Afrin falls, that has seen the most abrupt change in stance. By withdrawing its troops from the canton and allowing warplanes to enter it’s airspace Russia has shown how circumstansial previous peace brokerage it was involved in was. Reports are surfacing that Russia offered Rojava a deal: give Afrin back to the regime or we will allow Turkey in. Those who see Russia and its ally Iran as some kind of principled anti-imperialist bloc need to dream on. Once again, the revolution in Rojava fights alone. 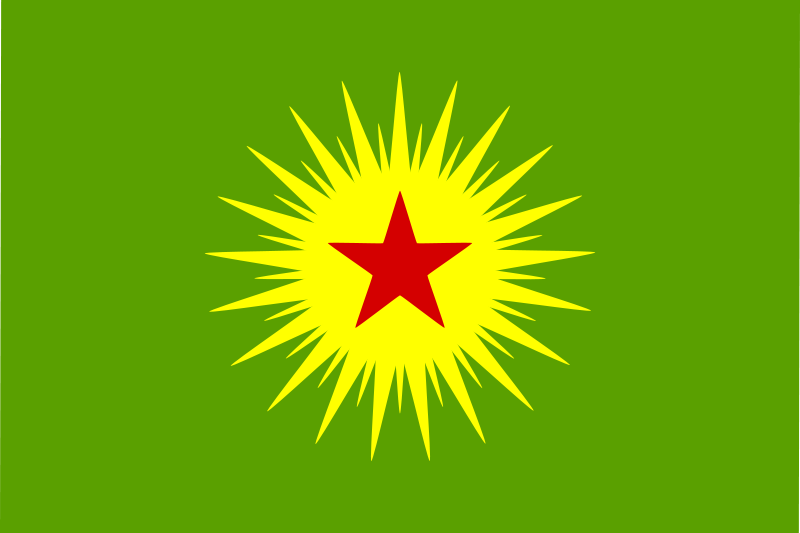 In spite of our governments’ mealy mouthed diplomacy, in the face of attacks by Turkish fascists or police forces eager to keep the peace, we must join with our Kurdish comrades at this moment. Beyond this we should be contacting our local MPs and pressuring them to release statements, the same with our local union branches (we were very happy to see UNISON release a statement on behalf of it’s 1.3 million workers) or branches of political parties you may be members of. As a small gesture of material support we will be donating £600 that we have raised through the sale of comic books to Heyva Sor , the Kurdish Red Crescent. 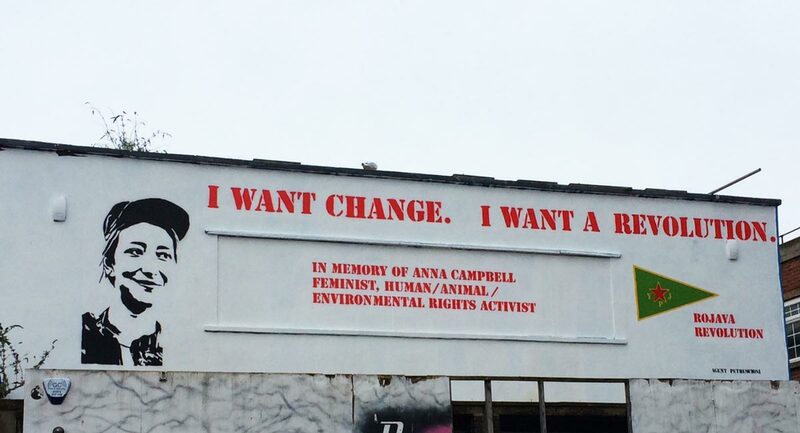 We strongly encourage others to do the same. The huge demonstrations, rallies, and actions we are seeing across the world in solidarity with Afrin are not vigils to mark the passing of a revolutionary struggle. We are not assembling to mourn defeat but to join our power, in whatever way we can, with one of the greatest struggles the cantons of Rojava have yet faced. 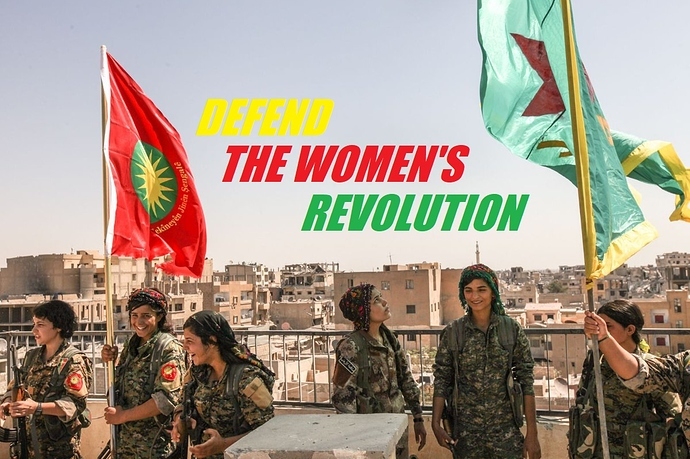 We must be there with the revolution; the safe and democratic home of millions of Kurds, Arabs, and other ethnic groups; the vanquisher of ISIS islamism; the home of an incredibly powerful feminist revolution; one of the best hopes for enduring peace in the Middle East. Within the next few weeks, the members of our cluster who were civil volunteers in Rojava will be speaking in some parts of the North of England. Peter & Sarah will speak about their time in Rojava working in the civil institutions, primarily as English teachers. Their presentation will focus on how the revolution is being transmitted and what day-to-day life in Rojava looks like. The talk will end with a discussion on the latest events in the region and the future of the revolution in Rojava. This is a great opportunity to hear about first hand experiences of Rojava and have your questions answered. Over the next two weeks will be the northern leg of the tour. After that will be the european leg, and following that we are hoping to organise talks in scotland and the south of the U.K. Please get in contact via info@weareplanc.org if you are interested in hosting a report back event in your city please get in contact with us. March – Holland, Germany, Finland and Sweden.